Hi Everyone, I have quite a few stamp sets on my ‘favourites’ list from the new 2017/2018 Annual Catalogue and the first one which made it to my ‘must have’ list was the Bright Wishes stamp set. 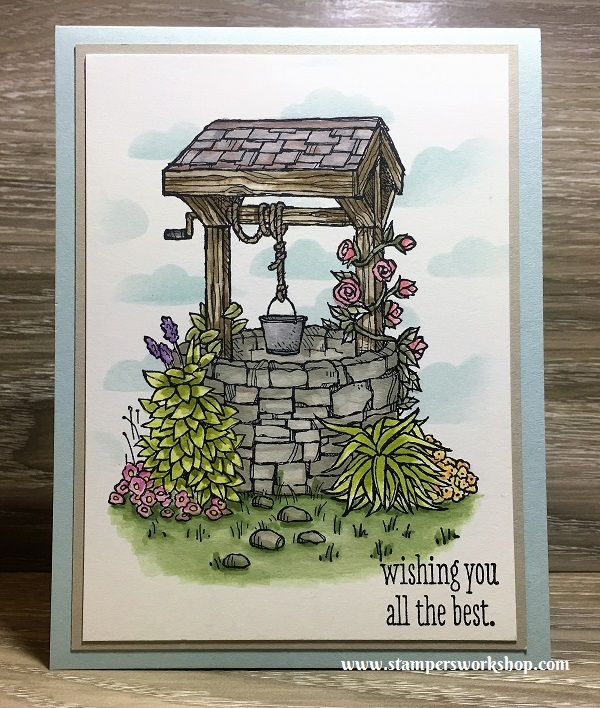 The well is so very lovely and for someone who likes to colour images, I thought it was perfect for me. So far, I have only painted the image using water and the Stampin’ Write markers but you could easily colour it with any colouring medium, including the Watercolour Pencils. Firstly, I must apologise for the quality of the photographs. I’ve had trouble with my lighting and being in the middle of winter, the sun isn’t assisting me either. 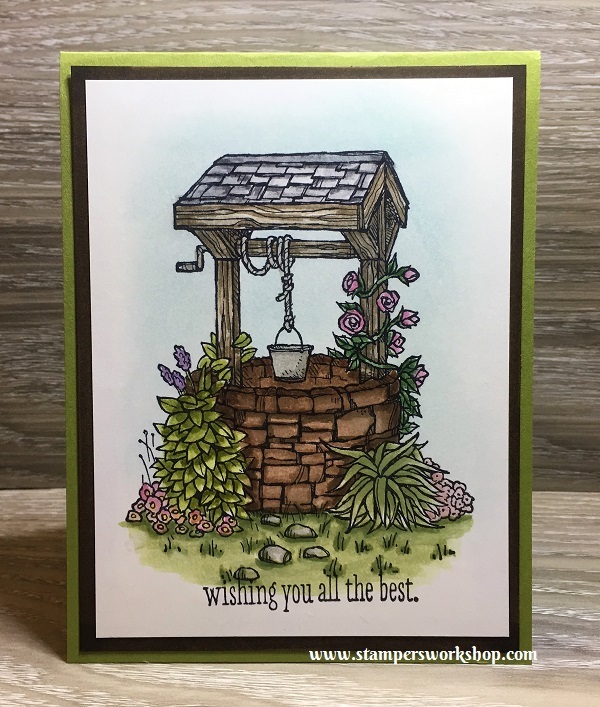 Bright Wishes (143827); Cardstock – Whisper White, Thick Whisper White, Early Espresso, Old Olive; Stampin’ Write Markers; Ink Pad – Basic Black, Soft Sky; and Wink of Stella Clear. The first card is a little darker than I intended. I had been hoping to create a little more of a red brick well but I ended up using too much of the brown when painting the image. Having said that, I really do like the look up of the coloured image against the Early Espresso and the Old Olive cardstock. 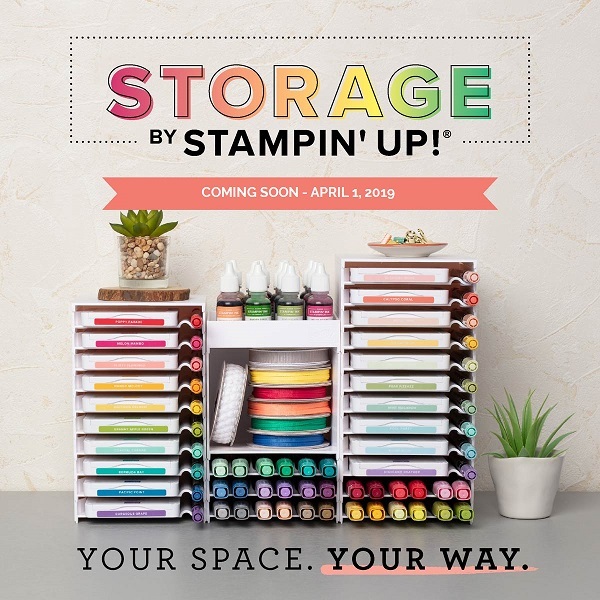 Bright Wishes (143827); Cardstock – Whisper White, Thick Whisper White, Crumb Cake, Soft Sky; Stampin’ Write Markers; Pattern Party Decorative Masks; Ink Pad – Basic Black, Soft Sky; and Wink of Stella Clear. For my second card, I was looking at creating a much lighter card and I thought I’d go for a grey toned stone well. I used the Sahara Sand marker for the stones and I *love* the look. I did play around with some of the other colours used to paint the image. The other big difference from the card above is that I used the Pattern Party Decorative Masks to add sponge on some clouds. Originally, my plan was to have white clouds and keep the sky blue but I was a little heavy handed with my first cloud. That’s okay, I went with it and the blue clouds still look pretty. What are you colouring at the moment? (Don’t forget about the current Bonus Days promotion throughout July as well as the *fantastic* opportunity for new Demonstrators. I’d love to have you join my team).